Do you need efficient and reliable electricians? Are you having a problem with the electrics in your property? At J.T.B. Electrical, we have provided a superb Hampshire Electrical Contractors service for over 10 years. Whether the problem is in your domestic, industrial or commercial property, our team will provide a complete electrical contractors service. It goes without saying, but any sort of electrical work is a complicated process that should only ever be attempted by the professionals. With so many things that can go wrong, making the wrong choice could put lives at risk. Here at J.T.B. Electrical, our Hampshire electrical contractors are among the best and are fully approved to self-certify their own work. From small domestic installations to full commercial testing and large-scale industrial projects, no job is too big or small for our electrical contractors in Hampshire. To learn more about the kind of services that we provide, read on below. What can our electrical contractors Hampshire team do for you? If your home is plagued by flickering lights or fuses that seem to blow at the drop of a hat, you could be experiencing issues to do with faulty wiring. As well as rewiring existing installations, at J.T.B Electrical, our electrical contractors Hampshire professionals can also provide complete setups for refurbishments or as part of a fit-out for a new-build. When you hire our electrical contractors in Hampshire, we’ll be more than happy to discuss your needs with you in greater detail before proceeding. From socket and heating installations to fitting electric showers, if it’s electrical, we can help. For more information regarding our domestic services, click here. As the best electrical contractors Hampshire has seen, we are trusted by commercial companies of all shapes and sizes to meet their electrical needs. Employers have a responsibility to ensure that they provide a safe working environment for their staff and customers. By choosing J.T.B. 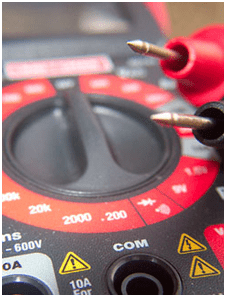 Electrical, you have the confidence of dealing with NICEIC approved specialists who have been trained to BS 7671 standards in-line with the IEE Wiring Regulations. If you’d like to find out more about the services provided by our commercial Hampshire electrical contractors, be sure to click on the following link. At J.T.B. Electrical, our electrical contractors in Hampshire possess the skills to pull off even the largest of projects. In fact, we can easily tackle jobs certified up to L750,000 with the option to take on larger jobs on a case-by-case basis. From wiring up an industrial control unit to supplying power and lighting to an entire car park, all work will be carried out to your exact specifications. No matter how complex the job may seem, you can be confident that our electrical contractors in Hampshire are more than up to the task. Be sure to check out our industrial services page to find out more. What else can our electrical contractors Hampshire team do for you? If you’re unsure as to how we can best serve you, do not hesitate to give our Hampshire electrical contractors a call. We have years of experience in supplying honest and impartial advice. Whatever your requirements, we’ll recommend the solutions that will benefit you best. Why choose our Hampshire electrical contractors? There are many reasons why you should choose J.T.B. Electrical over other electrical contractors in Hampshire. We are an NICEIC approved company with years of experience, and all jobs are carried out by our fully qualified electricians. You can, therefore, expect a high level of service from J.T.B. Electrical no matter how big or small the job may be. Electrical systems are an important yet complex feature of your property, so it is vital that any problems are rectified by our professional electrical contractors in Hampshire. We are dedicated to providing customers with the most reliable and innovative electrical solutions, and every service is tailored to the specific job in question. With this commitment to the field and a superb customer service, we have carved a solid reputation as the most trusted Hampshire electrical contractors. Whether it’s a periodic electrical test, or wiring a new build, you can rest assured that the job will be completed to the highest standard. Plus, we also boast the most competitive prices and the shortest lead time times in the industry. Our electrical contractors Hampshire professionals are able to self-certify their own work meaning that your project will be free to proceed unhindered. 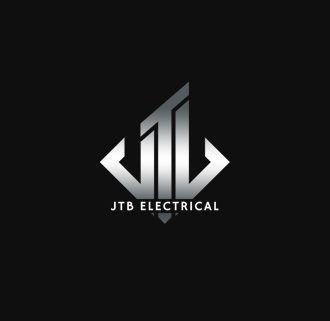 For the best Hampshire electrical contractor services, call J.T.B. Electrical now on 02380 731575 for an unbeatable service. For any other enquiries, you can also contact us via our enquiry form.